Title track ‘Unfinished Business’ kicks in with a hard-hitting riff that wouldn’t be out of place on Sleep’s Dopesmoker before ushering in very Manson-eqsue vocals. I feel Monsters Of The Dirty South have really put a lot of effort into making this release as energetic as their live show and they have truly pulled that off. The high octane ‘Swings and Roundabouts’ has the perfect headbanging riff while ‘Gone Away’ is a lot more droney and distorted-reminiscent of early Silverchair. At times it’s hard to believe that you’re listening to a two-piece with the heavy distortion and quick fills giving a huge sound that you would expect from a four piece rock band. 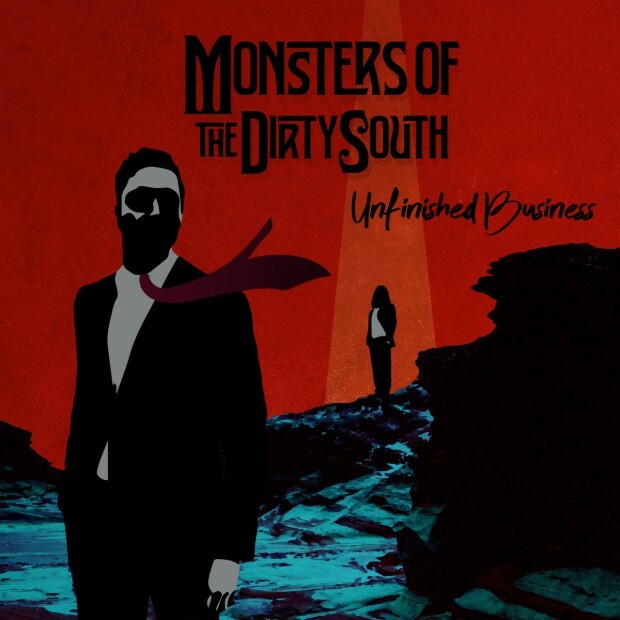 Unfinished Business is a great place to start for Monsters Of The Dirty South, it introduces them exactly as they should be; hard, loud and fast. Keen to see what they release in the future!